But secretly, even a lot of those who do think it’s crazy would love the chance to stand at the single highest point in the entire world. That’s why Mount Everest has this allure, and why hundreds of people each year pay for permits to climb the mountain. But, being a place hostile to life, that also means that people die in the attempt, on a regular basis. Nepal, in an attempt to reduce these casualties, has recently decided to ban double amputees and blind people from climbing Everest (and no, these conditions haven’t stopped people in the past from summitting.) Experienced mountaineers have questioned these rules, and suggested that actually, the bigger problem is the number of commercial expeditions who take tourists with little real mountain climbing experience up the peak. 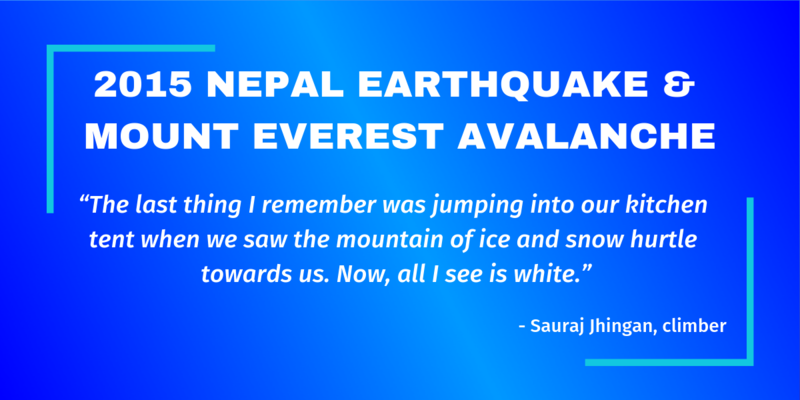 So far, the most deadly year in Everest’s history was 2015, when a huge earthquake rocked Nepal and sent an avalanche hurtling down towards Base Camp. This event commanded headlines; but there was another story, too – the thousands of people killed in the rest of the country, the villages levelled and the livelihoods lost. I consulted a huge number of sources for this episode, because it happened so recently and therefore the many (many!) news articles from the time are all online. For that reason, I’m not going to list them all here – it would take a lot of space and be a pretty boring list of links, so here are a few highlights. The BBC produced a documentary called Disaster on Everest, while Channel 4 produced one called Nightmare on Everest – both are highly informative viewing. Svati Narula, quoted in the episode, wrote an article on her experience for Quartz. Sauraj Jhingan also wrote about his experience. Alex Gavan’s account was published by Time. Many humanitarian organisations, such as UNICEF, have information on how they’re able to help the people of Nepal thanks to donations. 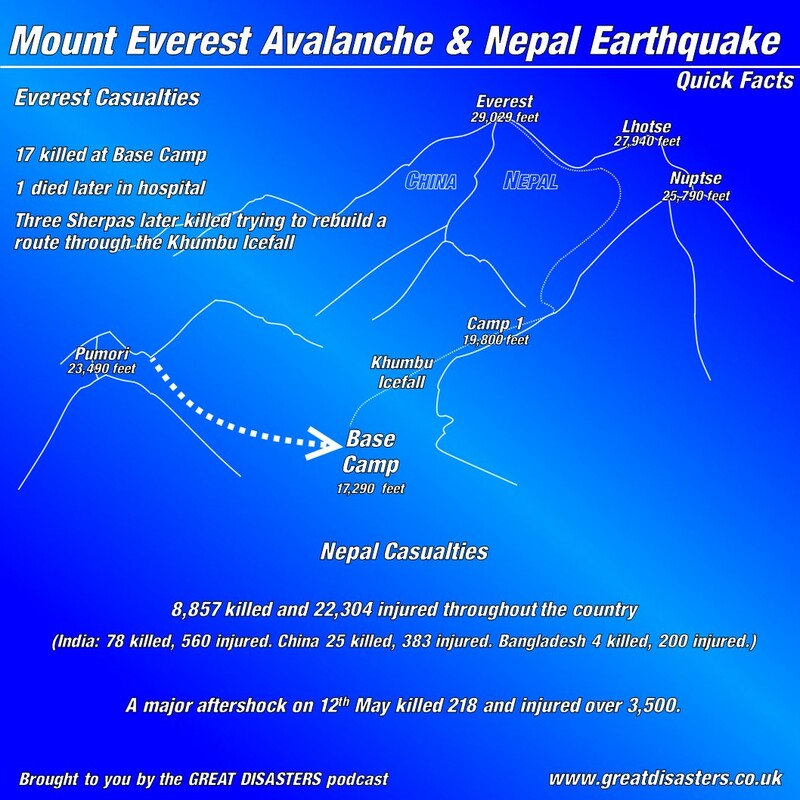 You can also read the Wikipedia articles on both the earthquake in Nepaland the avalanche on Mount Everest.